Hey contemporist friends! 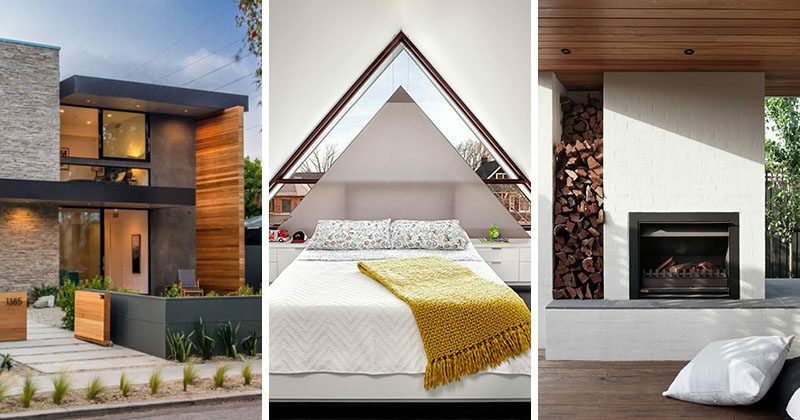 Here’s a look at what’s getting a lot of attention on our Pinterest boards this week, so you can see what’s trending. By the way, you can follow contemporist on Pinterest – here. 1. This Australian home features a small lap pool in the backyard and a sunken living room that sits at eye level with the pool. See more photos of this project, here. Landscaping designed by OFTB. 2. A large triangular window follows the roofline and provides views of the street. When privacy is required, a custom-made triangular blind that’s hidden within the cabinetry, can be raised blocking most of the window. 3. 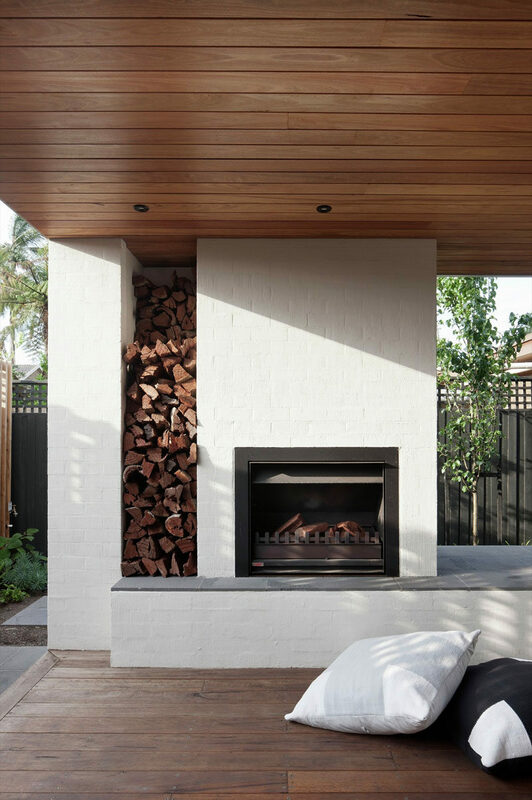 This outdoor fireplace is surrounded by brick that has been painted white. There’s also a built-in space for firewood storage. See more photos of this project, here. Designed by Bower Architecture. Photography by Shannon McGrath. 4. This office building has their logo integrated into the design of the wood siding. See more photos of this project, here. Designed by 3DReid. Photography by Cadzow-Pelosi. 5. 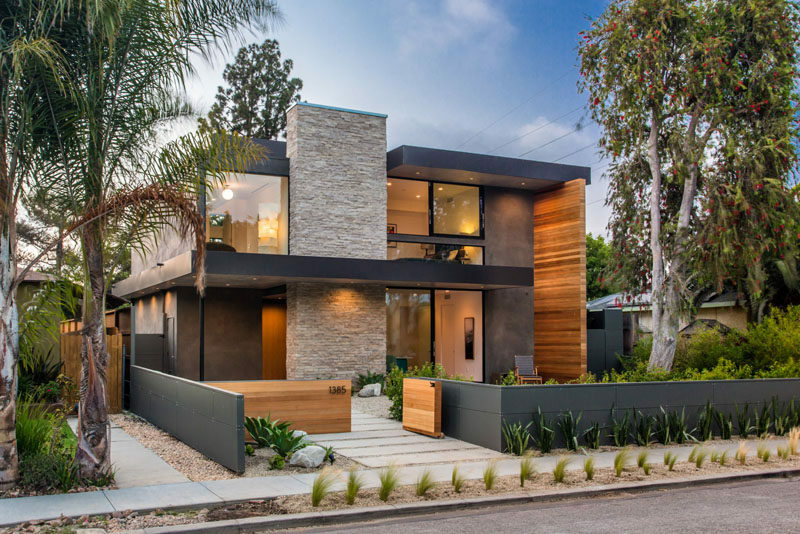 This new contemporary home in Venice, California, that features elements like a backyard guest suite, open-plan living, a swimming pool, and a sunken outdoor lounge. See more photos of this project, here. Designed by Electric Bowery. Photography by Brandon Arant. Don’t forget, you can follow contemporist on Pinterest, here.